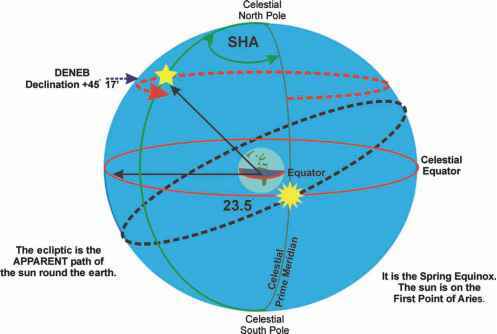 Just like the earth, the celestial sphere has its system of coordinates that define position. 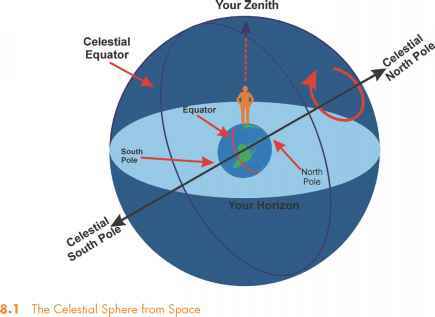 The north-south position of anything on the celestial sphere is called its declination, but as the North and South Celestial Poles are directly above the earth's poles and the celestial equator parallels the earth's equator, (see Figure 8.1) the declination of any celestial body is the same as its latitude if it were on earth, (see Figure 8.3). 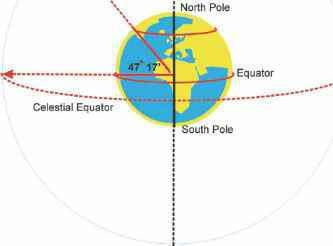 The starting point for measuring the sun's east-west position on the Celestial Sphere is the Greenwich meridian and since time and arc can be swapped back and forth, we talk of Greenwich Hour Angles. 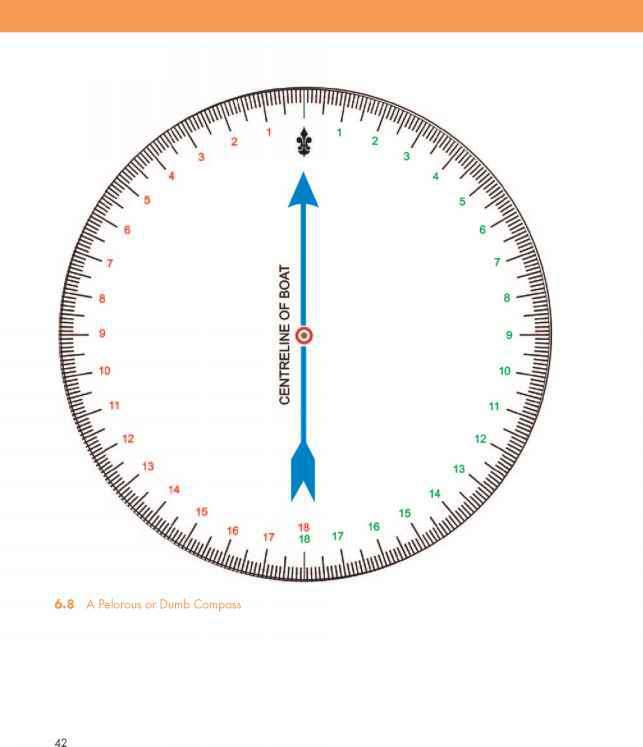 This neatly combines time and arc to remind you that, with a little arithmetic, they are interchangeable. longitude. Do not take this analogy too far. 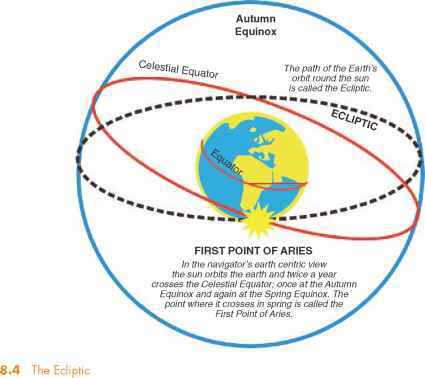 The First Point of Aries does not correspond to the position of the Greenwich meridian on earth. The height of a celestial body above the horizon is called its altitude. Do not confuse altitude with declination. A star's declination is constant. 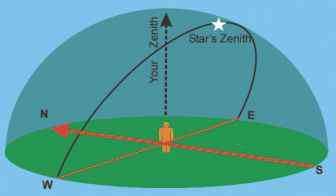 Altitude varies during the course of the day unless you are looking at the Pole star. 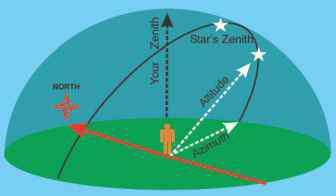 The bearing of a celestial body from true north is called its azimuth (shown in Figure 8.5). \ / ÄtoOtä;/-—_ __ _ __ L—-""f . . ■ . .